-Tibetan Revival: 200,000 Buddhists Accept Jesus? All the revival needed was the first spark of a Tibetan monk. When he converted to Christianity last year, the revival fire exploded. Now, more than 200,000 Tibetans have accepted Jesus into their lives, according to multiple reports. Asian Access’ Joel Handley says he believes much of the faith sweeping the region stems from Christian response to the devastating Nepalese earthquake more than a year ago. “They haven’t seen Buddhists, Hindus or other religious groups helping in the midst of the rubble. Rather, week after week, it is the followers of Jesus who have proved the test of time, sacrificed their own lives to serve and been the hands and feet of Jesus,” Handley says. Response: Not only is this exciting but miraculous. The Buddhist mountain nations of Tibet, Nepal, and Bhutan have been untouched by Christianity for centuries. Every missionary effort in those countries was shut down and rejected by the people and the government authorities in the past. Now the door has been miraculously opened and folks are coming to Christ in those far away countries. 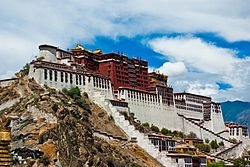 What is happening now in Tibet could not have been planned or expected accept by the Lord himself. Remember, Tibet is politically an autonomous region of China which would limit any formal missionary activity.